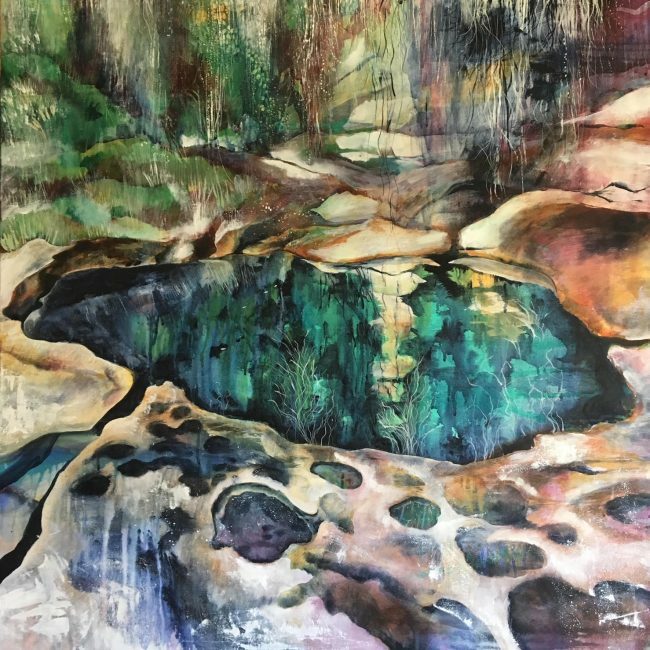 TOPAZ ART EXHIBITION: View the latest collection of expressive paintings by Sydney artist, Gabbi Lancaster. Come and visit the artist at Aro Gallery for a chat and to see the works. Reflections on the water mirror the artists deepest feelings. 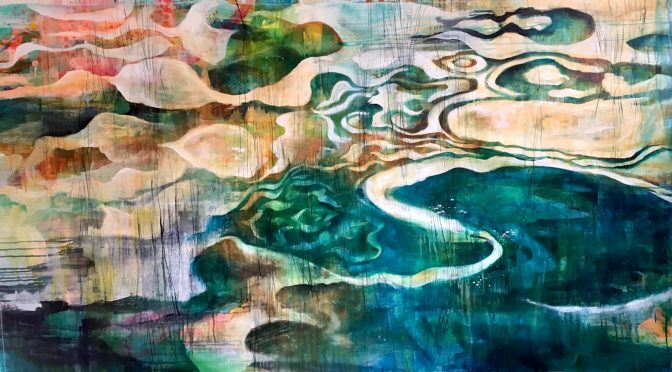 Colourful imaginary waterscapes; rock pools, rivers and lakes are subtly expressed. Figures dance, entwined in a tender embrace evoking feelings of love and connection. TOPAZ from Gabbi Lancaster opens at Aro Gallery, Darlinghurst [Facebook] on Wednesday 14th November at 6pm. Bookings are essential to the events via website.